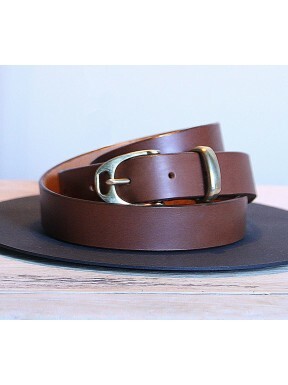 Beautiful leather stirrup buckle belt. Brown leather with brass hardwear. 1'' width making it ideal to wear with breeches or jeans. 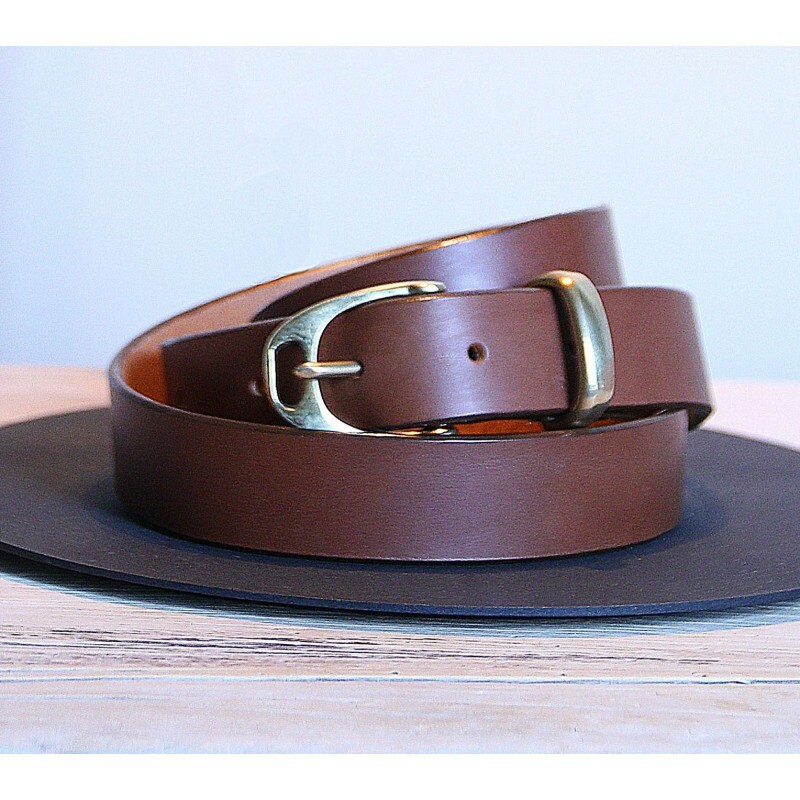 Buckles are measured from buckle end to middle hole, so bear this in mind when choosing your size.